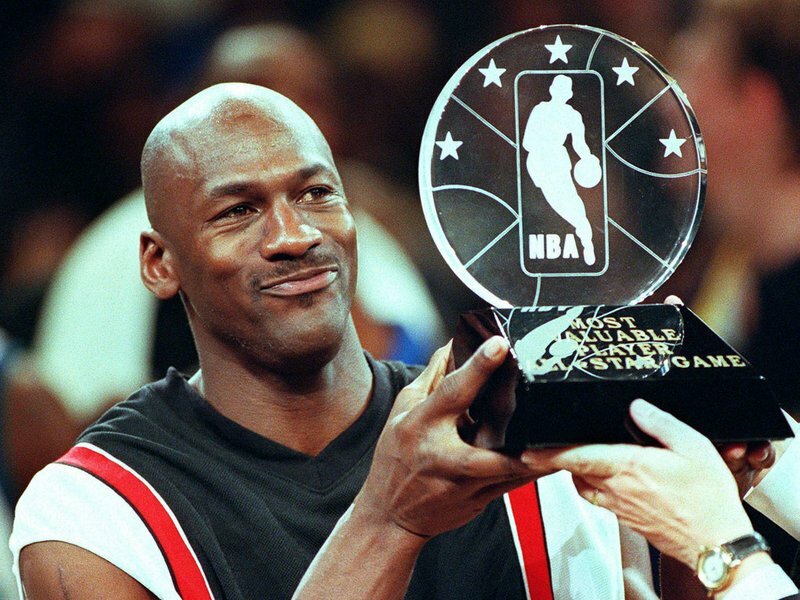 Michael Jordan captured the attention of everybody throughout the 90’s when he dominated in the NBA. Whether or not you followed basketball, you knew who Jordan was. He won six titles with the Chicago Bulls and highly regarded as the best that’s ever played the game. Here’s a photo collection capturing Jordan at his greatest, as well as other moments in his life with the North Carolina Tar Heels and after his successful run with the Bulls. 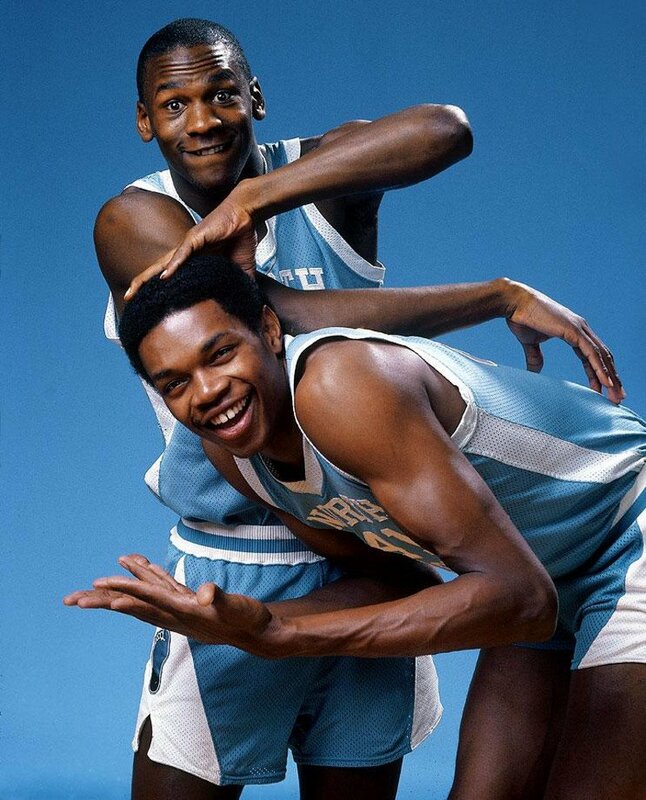 Jordan clowns around with his teammate, Sam Perkins, back in 1983 when he played with the North Carolina Tar Heels. 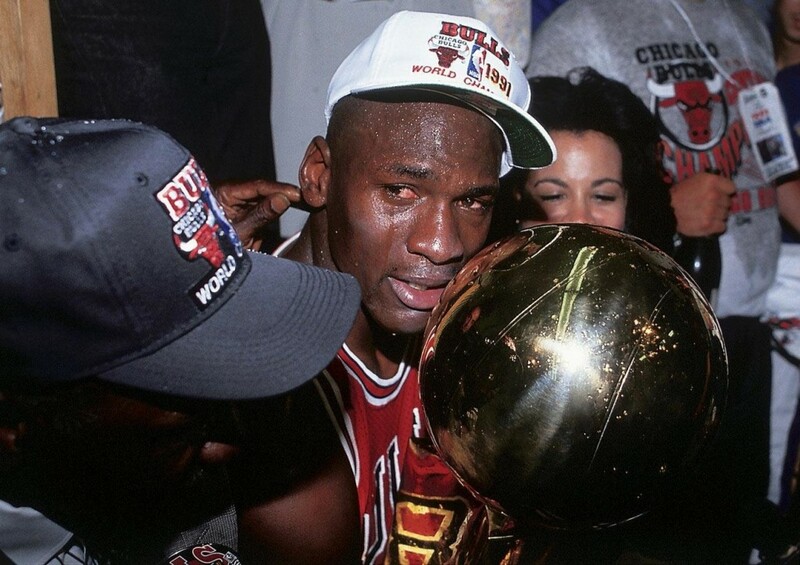 Here’s an emotional Jordan while holding his first NBA championship trophy. 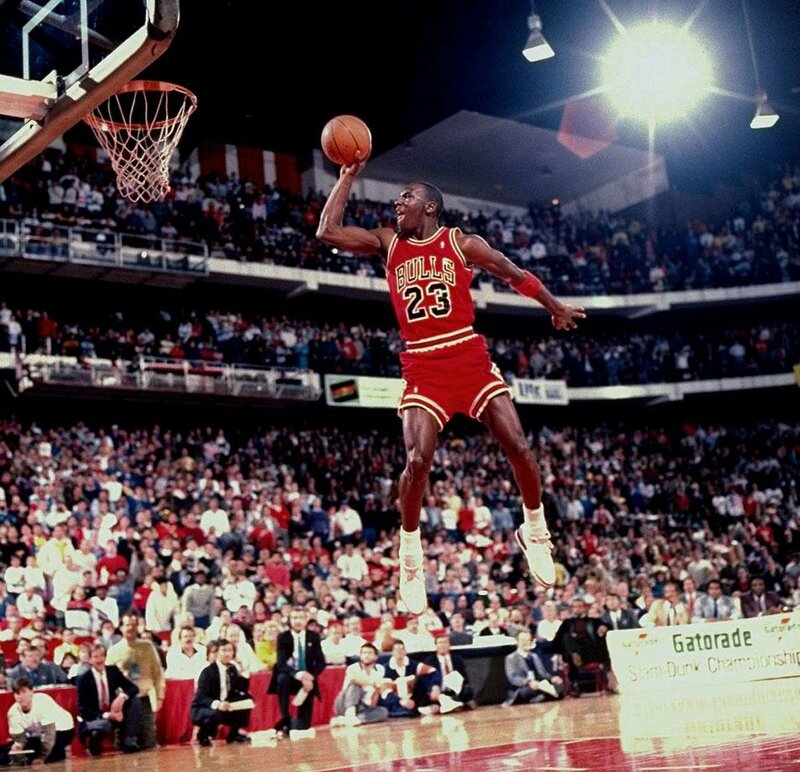 Here’s Jordan taking off from the free throw line and hanging in mid-air in one of his most iconic dunks of all time. 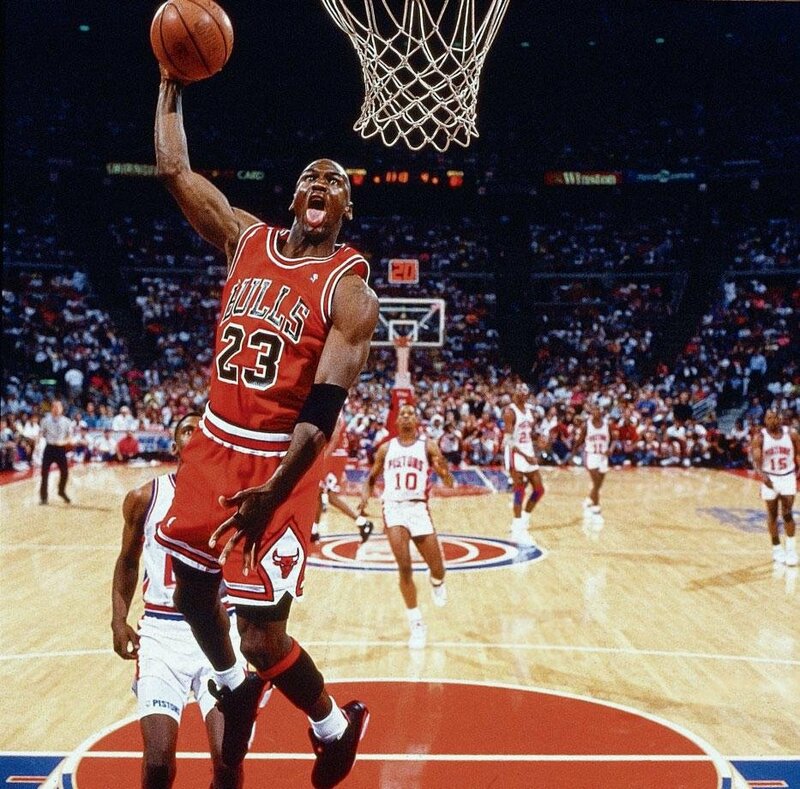 Jordan loving every minute of this dunk during a four-game sweep against the Detroit Pistons in the 1991 Eastern Conference Finals.